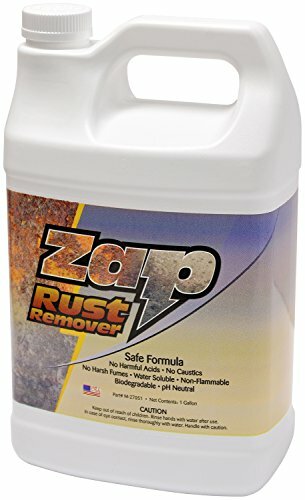 Details: Zap is a safe and powerful rust and oxidation remover. Quickly removes rust and corrosion from steel, cast iron and other ferrous metals. Does not harm nonferrous metals such as aluminum, copper or brass and is also safe on rubber and plastics. Quickly penetrates into crevices and metal pores due to special wetting agents so that all rust and corrosion is reached.